Toshimi’s blog is now in English as well as Japanese. Her husband Tet takes great photographs. They will be attending Apsos on the Mountain next Monday. She wrote:My blog became English. Please enjoy the photos of Koyuki and Sakura. 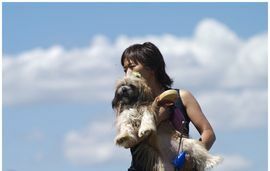 I would like to show my blog to lhasa lovers. We will go to great sanddune again from Sunday and Monday.